Preparing the soil before I plant my vegetables and flowers will help ensure my family and I enjoy the delicious taste and beauty throughout the summer; payoff for my sore muscles. The same is true for most things that are meaningful in our lives. Taking time to prepare ensures the best outcomes. Let’s take a look at respiratory failure, in particular, post-operative respiratory failure. Acute respiratory failure may be life-threatening and correlates to abnormal blood gas measurements and develops within minutes or hours. Hypoxemic: most common; can be correlated to most causative lung diseases and is indicative of a lower than normal arterial oxygen level (deprivation). Hypercapnic: high level of carbon dioxide (PaCO2) and is most often associated with drug overdoses, severe airway disorders (chronic obstructive pulmonary disease (COPD)), or neuromuscular diseases (myasthenia gravis, cystic fibrosis (CF)). Chronic or long-term respiratory failure is often caused by various types of COPD, neuromuscular diseases, CF or even morbid obesity. Chronic respiratory failure develops over a period of days or longer, worsens over time and triggers should be identified. Typically chronic respiratory failure correlates to superimposed infection. Acute on chronic respiratory failure represents rapid deterioration of patients with chronic respiratory failure. These are typically COPD patients or those with neuromuscular disease or chest wall disorders. These patients may require long-term mechanical ventilation. Post-operative/post-procedural respiratory failure is defined by the need for ventilation for more than 48 hours after surgery or reintubation with mechanical ventilation post extubation. Comorbid risk factors include: obstructive sleep apnea, COPD, congestive heart failure, advanced age, ASA class greater or equal to 2 and pulmonary hypertension. In patients without preexisting lung disease, pCO2 > 50 or pO2 < 60 on ABG. 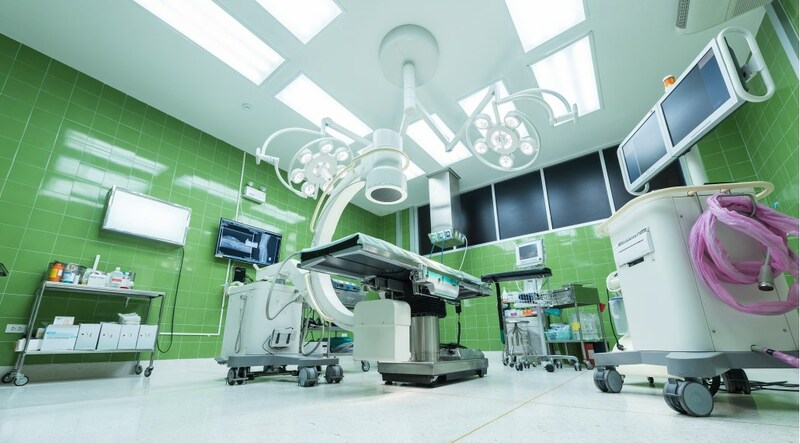 All elective surgical discharges treated at the hospital are evaluated, however there are some elective procedures that are excluded, therefore ensuring the coder assigns the appropriate diagnosis code for the documented condition in the post- operative setting is essential. Examples of some excluded conditions include placement of a tracheotomy prior to the OR procedure, procedures for lung cancer and discharges grouped to (Major Diagnostic Categories (MDC)) 5 diseases of the circulatory disease. Coders should not assign mechanical ventilation when the ventilation is a part of the normal surgical procedure. A rule–of-thumb for assigning mechanical ventilation in the post procedure setting is when ventilation support exceeds 48 hours with the start time as the time of intubation for the procedure. Watch the provider documentation that should indicate some condition as the reason for the extended time as it is unexpected/unanticipated. There may be times when the rule-of-thumb does not apply. If the duration of the mechanical ventilation is less than 48 hours, however the provider documents this is prolonged and/or unexpected and states the condition that required the extension, the coder would assign the post- operative respiratory failure as documented. A query opportunity may exist when the patient is extubated in the post-operative setting however, continues to need supplemental oxygen. Watch your clinical indicators as this may represent a respiratory condition. Be prepared; familiarize yourself with clinical indicators for respiratory failure, in particular post-operative respiratory failure as well as PSI 11. Never assume a complication with respiratory failure or any post procedural condition as the condition may just be a condition in the post- operative setting; query when the documentation needs clarifying. Marie Thomas holds a Masters Healthcare Administration from Pfeiffer University, Charlotte, NC, and a Bachelor of Science in Healthcare Administration from Pfeiffer University. Marie has furthered her career education by becoming an AHIMA-Approved ICD-10-CM/PCS Trainer and Ambassador as well as earning the RHIT, CCS, CCDS, and CPC-H credentials. For more information please comment below.